DB Sports Tours are proud to announce they are bringing West Bromwich Albion and a Donegal Schoolboy Select Squad to the International Carnival Cup in February. DB Sports Tours have had a long-standing relationship with the West Bromwich Albion academy, while we have always looked to strengthen schoolboy football in Ireland: we are honoured to be bringing both football teams on this exciting football trip. 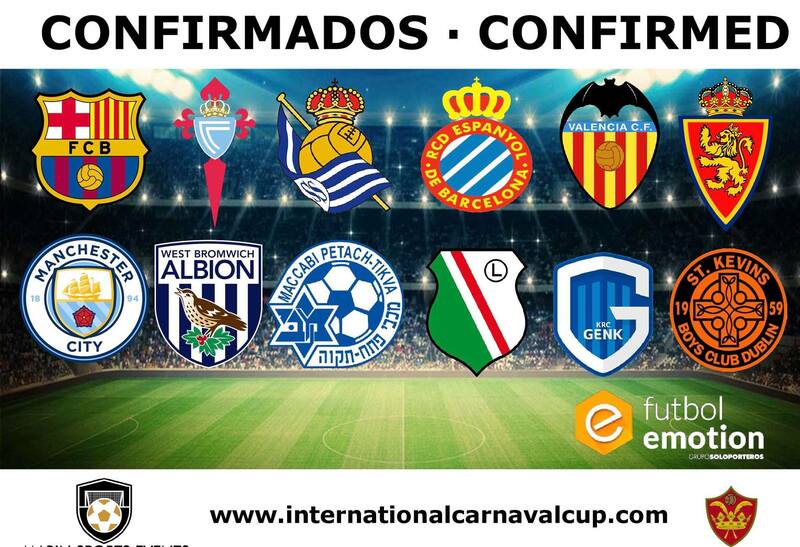 The International Carnival Cup will take place from February 9-11 in Premia De Dalt, an area of Catalonia, Spain, just on the outskirts of Barcelona. The tournament will see West Bromwich Albion and Donegal Schoolboys pitted against 26 other teams. The International Carnival Cup will see a total of 65 games played, and a whopping 2,600 minutes of playing time! For the fifth year running, the International Carnival Cup has gone from strength to strength, with the likes of Real Madrid vying for glory each year. The first winner of the tournament was Barcelona’s city rival RCD Espanyol. In fact, DB Sports Tours’ very own Albert Vinas, head of our international football facility in Salou, was previously a youth coach at the Spanish La Liga outfit. We hope and expect this tournament be a fine opportunity for both West Bromwich Albion and Donegal Schoolboys to test themselves against the very best of Spanish and international football. If you are interested in booking your team into a similar tournament then get in touch with our office here. Also, why not check out our regularly updated blog here.